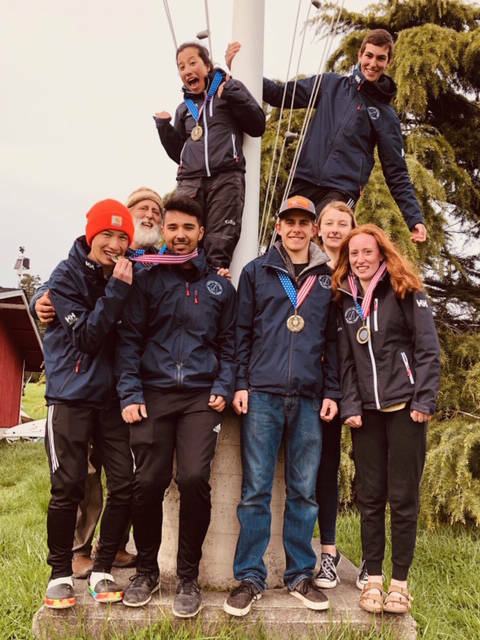 Orcas high school sophomore rowers Jake Zier, Josh Bronn and spring co-captain Max Blackadar have been honored with invitations to the US Junior National Rowing team development camp in at the Steel City Rowing Club in Pennsylvania. “If they go to the development camp this year it would give them possibility in their junior year of being invited to the selection camp,” said Lisa Bronn, Josh’s mom. Rowers invited to the junior national selection camp may try out for the national team that competes at the world competition, this year being held in Eton, Great Britain. The Orcas boys are three of only 30 boys invited to the development camp each year, just behind the elite 30 boys invited to the selection camp. This year at districts Josh and Zier placed in the top 21 in the country and third in the region for their doubles racing time. Zier in a single finished first in the region and in the top seven in the nation. Blackadar finished in the top 28 in the country for lightweight singles, with a 4th place finish at Northwest regional championships. While Blackadar will not attend, Zier and Josh will leave June 18 for the three week camp. “I am very excited to take this opportunity and I am happy my friend Jake got to go also,” said Josh. At a cost of $2,500 per person plus airfare, contributions for the trip are welcome. Anyone wishing to contribute can contact rowing coach Tina Brown at 376-7677.